We’ve all had those mornings when you sleep in and find yourself rushing to get ready, wishing that you didn’t have to worry about your makeup every day. Permanent makeup is an ideal cosmetic solution for women who are looking to enhance their natural features, without any of the additional hassle. 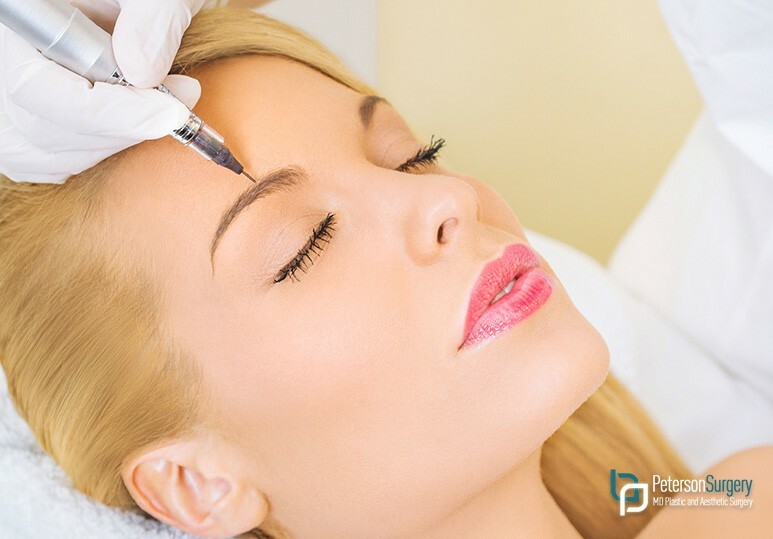 At Peterson MD, a Kelowna-based plastic surgery clinic, we offer a wide range of permanent makeup services. Today’s blog will outline what permanent makeup entails and the three major procedures - permanent eyeliner, permanent eyebrows and permanent lip make up - which can add enormous benefit to your life. Permanent makeup is done through a process called micropigmentation. A tattoo pen injects permanent ink into your skin, giving the appearance of freshly applied makeup. The procedures can take up to 120 minutes and your plastic surgeon will most likely use a local anesthetic to numb the area and make the procedure more comfortable for you. It is important for patients to note that, while the makeup cannot be washed off, permanent cosmetics do fade and require periodic touch-ups. Whatever activity you are engaging in, be it sports or taking a shower, you never have to worry about permanent eyeliner smudging. It is an extremely convenient and safe option for patients who have low-vision problems or unsteady hands. It is also ideal for contact lens wearers, who may find themselves experiencing watery eyes. The biggest advantage is that it allows you to create the perfect eyebrow shape, color, symmetry and balance for your face, giving you a more youthful and beautiful appearance. By defining your lips borders, permanent lip makeup eliminates the problem of ‘lip-bleeding’ entirely. For those patients who have experienced scarring from medical conditions such as congenital cleft-lip surgical repair, this procedure will prove to be very successful in restoring lip-border shape. Permanent makeup can be very beneficial to the lives of all women and a great enhancement to their physical appearance. Not only does it save you time, but you also have the peace of mind knowing that your makeup is perfect, no matter what the occasion.